Having published Thickened With Blood in the Independent last December, I am now nominated in the Emerging Writers section of the Hennessey Literary Awards. Lesa and I get to go to a posh do in April, excitement and dress choices all round! Delighted to learn that Ciaran Carty of the Irish Independent is going to publish my story Thickened With Blood in his New Irish Writing section this Saturday (21st December). NIW normally appears last Saturday of the month but jumps a week forward on account of Christmas. 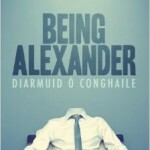 I had the privilege to be at the launch of Diarmuid O’Chongaile’s first novel, Being Alexander. While I was waiting for the festivities to begin, standing in the Gutter Bookshop, I flicked through a few pages. The power of Diarmuid’s voice reached out to me immediately. It is a voice that rings strongly and consistently through the novel and is a major achievement for a first time writer. It puts me very much in mind of some of the great contemporary American authors like Joseph Heller and John Irving. The story that he tells is less of a journey and more of a sight seeing expedition. He stops and marvels at each little thing, filling in a bit of back story on each character, philosophising on each trivial event while all but ignoring the major plot turns, remembering fondly a childhood lost but grown sacred with memory. There is a scene where Alexander has acquired a top of the range BMW; he climbs in, astonished by the quality of everything about the car. He goes to drive off, is politely informed by the satnav that he is going the wrong way and, still recovering from a very heavy night’s drinking, he vomits down the beautiful dashboard. I thought this was a metaphor for Alexander as a whole. Privileged, well educated, with a girlfriend and family who care deeply about him, Alexander pretty much vomits on everything that could bring salvation to his life. He turns constantly away from anything good and seeks out whatever is destructive, soulless and empty. He is not, though, a pitiful or malicious character, he is simply cast adrift in a vacuum lacking spirituality or values, itself a metaphor for the worst days of the Celtic Tiger corruption in which he is immersed. He watches himself as if from afar, as the reader does also, curious to see what he will do next, what depravity he will choose to sink to. Despite his deep failings, Alexander is a charming host for this sight seeing tour. His looping deviations constantly entertain and amuse, and, as you drop your head in your hands thinking ‘what the hell is he at now’, you are already forgiving him and vainly hoping that he will find some direction and some happiness. It’s a first novel, it certainly won’t be Diarmuid’s last given the fantastic prose and that voice. My story didn’t get read but I did get a mention so very happy. The book is now available in the Gutter Bookshop and country wide, as well as Amazon, proceeds go to a charity that seeks to make writers available to schools to inspire children. 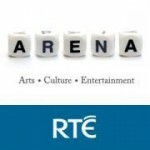 Back in April, my story Snow Can’t Last was read out on the Arena program on RTE as part of Dave Lordan’s New Planet Cabaret series. 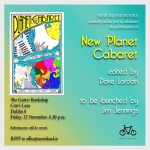 Now the best stories plus some commissioned stories are appearing in a New Island book, to be launched Friday in the Gutter Bookshop. Looking forward to it. 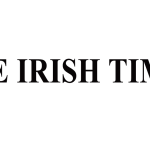 The Irish Times have been running a series of stories based around the general subject of the events of the last five years, recession, property crash, bank guarantee etc, under the title Legends of the Fall. It has featured such luminaries of the Irish literature scene as Ann Enright, Colm Tobin etc. 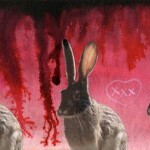 Learned today that my story Huddled Murders has made the longlist for the RTE Guide/Penguin short story competition. The bad news is that it is a pretty long longlist, with apparently 60 folks receiving the honour, but hey ho, we’ll take what we get. Also getting to attend a special writing workshop being organised in September for longlistees, so looking forward to that. Copyright © 2019 Kieran Marsh's Scribbles. Powered by WordPress and Alétheia.